Msosa Primary School is located in the Msosa Village, Kilolo district about 120 km from Iringa. The school has 558 student, from preschool to standard seven, and 8 staff members. There are 8 latrines for students and 2 for staff. Msosa typically has very high temperatures which makes access to safe water throughout the day very important. 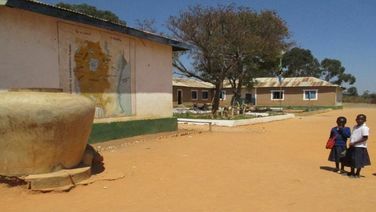 Muhwana Secondary School is located in Magulilwa ward in the Iringa Rural district. 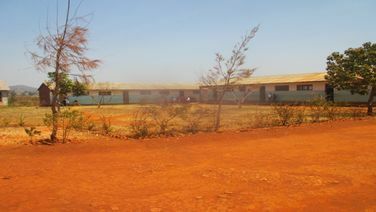 The school has 369 students (202 are girls, 167 boys) and 22 staff members. There are 16 latrines for students and 2 for the staff. Muhwana is a day school, but there are 20 female students who are living at the school. In Tanzania, as round the world, many girls continue to experience disadvantages in access to primary and secondary education, and the problem is particularly critical in rural, pastoralist communities. According to UNESCO figure, about 32% of girls worldwide who should have enrolled for primary education in 2002 did not even enroll, let alone stay in school. It is reported that over 1.13 million girls in Tanzania stand to simply miss out on an education. By the final grade, around 74% of girls are still in primary school; however only 18% of these few who have been retained in schools will manage to go to secondary level. The situation is generally worse for rural communities, and among the Maasai living in rural district in Arusha and Manyara Regions in particular, girls continue to be disadvantaged relative to boys in school.Illiteracy rates among the Maasai community stands at 80%. At present, the primary school enrollment percentage for the Maasai children is between 20%-30% out of these only one third are girls. The rate of pupils’ dropouts prior to completing standard seven is alarming at the rate of 60%. Among the reasons, which contribute to dropout, are poverty, lack of support from parents and early forced married among girls. On top of this, there is a serious shortage of learning facilities like textbooks and other scholastic materials, household chores including fetching for distantly available water for household consumption. Currently classes are often held under trees which are remotely situated with difficult communication of which discourages many parents to let their children attend school.Women do the most work in terms of collecting water and caring for the family. Therefore, the project will shorten walking distances to a radius of 1.5 to 2km; thus, time saved will be channeled to other household duties for income generation and availing school children enough time to attend and concentrate in education activitiesAs a result, ENCO with support from the community and other partners decided to establish an English Medium Pre-primary School at Engaruka village “The Engaruka English Medium Pre-Primary School” which focuses on bridging the education access gap among the vulnerable Maasai community in Monduli district. 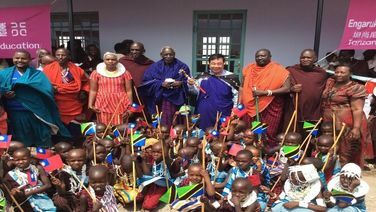 The school is earmarked to provide the best education for the Pastoralist Maasai children, laying the best foundation for education excellence and efficacy whilst flagging high the educational competitiveness and performance among the vulnerable Maasai children in Tanzania. The school and its approach is very niche and exceptional only to be found and managed by ENCO organization in Tanzania.Tanzania is a signatory to most international treaties and conventions related to Environmental protection, water, sanitation and hygiene. The country has a water and sanitation policy developed in harmony with the commitments made under the regional initiatives like NEPAD and East Africa Community on improving the well being of citizens through provision of safe water, improved sanitation and hygiene practices to reduce mortality and morbidity. At national level, Tanzania government has placed water, hygiene and sanitation issues on high political agenda as highlighted in the country’s National Water Policy (2002) states that every person should have access to portable water at a distance of not more than 400m. However, very little has been achieved so far and in particular, Monduli district the situation is dismal. Recent data shows that only 14.7% of the population has access to clean water supply while 85.3% of the population most of whom resides in rural areas have no access to reliable and safe water supply. Hence, a high prevalence of water-related diseases in the district. 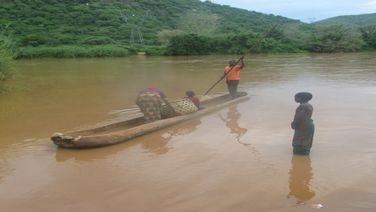 Monduli does not have well-established water infrastructures. The non-availability of water affects the targeted communities in two major ways:  Between 1 and 7 hours are spent in walking 5 to 10kms to fetch for water. This time spent in fetching water causes loss of income to the household especially for women and girls.  Secondly, the diseases caused by use of unsafe water have negative effect on the health and social-economic well-being of the population. Health (Water-borne diseases) Malaria is the largest morbidity and mortality cause in the district accounting 40.48% of the total illness and deaths. Diarrhea and worms prevalence of 10.57% after malaria and Acute Respiratory Infections. Other water-borne disease prevalence within the district includes schistosomiasis, ascariasis, campylobacteriosis and cholera just to mention the few. Poor sanitation and hygiene practices on the other hand also perpetuate the disease burden and hence household poverty. Comparative Indirect Project Significance Due to a strong causal relationship between infections related to hygiene, sanitation, safe water and water management and other acute illness like anaemia and Hepatitis A&amp;E; it is, therefore, expected that the implementation of the proposed project shall have indirect advantages/results on reducing the possible occurrence of other diseases in the community as substantiated below:  Anaemia-though being a common disease throughout the world, still several infections related to hygiene, sanitation, safe water and water management are significant contributors to anaemia in addition to iron deficiency. These include Malaria (due to poor water management), schistosomiasis and hookworm. In Malaria pandemic areas like Monduli, it is the primary cause of 50% of all severe anaemia cases.  Anaemia can also be caused due to excessive blood loss such as gastro-intestinal infections associated with diarrhea, which is among the leading water-related disease in the district.  Hepatitis A&amp;E is associated with unsafe water supplies and poor sanitation and hygiene leading to infection and inflammation of the liver. Therefore by reducing and/or combating the prevalence of the water related diseases the project shall have as well indirectly reduce the prevalence of other related diseases. Objectively monitoring indicators shall be set at the beginning of the project in order to monitor these results.Engaruka Water and Sanitation (EWASA) Project, a one year project proposed by ENCO to H2O for Life towards supporting construction of a gravity water system at Engaruka English Medium Pre-Primary School located at Engaruka village in Monduli district. The project focuses on ensuring provision of clean and safe water to over 300 school children and through them indirectly supporting 1500 community members. The overall objective of this project is: contributing to improved access to safe water, hygiene and sanitation among the disadvantaged Maasai children at Engaruka school and the community at large. This objective will work towards achieving the provision and access of safe water facilities and improve access to safe drinking water to 1500 community members, thus serving 300 households through:  Rehabilitation and extension of water pipe scheme;  Improved sanitation and hygiene practices; and  Empowering communities to maintain the water systems.In this context the project will achieve the following outputs:  Reduce prevalence of water-borne diseases.  Reduce time for collecting water and/or increase use of safe water.  Promote effective community management resulting in improved sustainable water supply.  Promote equitable representation of women in decision-making and management.  Improve knowledge and adoption of good hygiene practices at the schools and surrounding communities.Proposed activities include:  Extension of 6km pipe scheme.  Construction of storage tanks for water storage and preservation.  Capacity building to water user association to be able to manage water points and repairs.  Promotion and training of hygiene and sanitation  Development of integrated water resource management plan.  The Mtumba approach will be used in sanitation to promote and facilitate activities that will be chosen.  Water Demand Responsive Approach (DRA)–community contributing either cash or in locally available materials during planning, implementation, monitoring and evaluation.These approaches will be very productive as the communities will be mobilized to take ownership of the project of which will promote sustainability.The Expected Outputs:  1 water user association established and registered.  3 new water points constructed.  Hygiene and sanitation messages delivered to every project targeted community.  Hygiene education at Engaruka-TX school provided.  Extension of pipe scheme by 5kms.Expected Outcomes:  Improved access to clean and safe water for Monduli District households.  Increased knowledge, attitudes and adoption of good hygiene practices and adoption of improved sanitation facilities.  Improved health through reduced prevalence of waterborne diseases.  Improved water resources management by the communities.  Increased adoption of improved sanitary facilities (latrines) by schools.Project Approach Project will use “Mtumba” Hygiene and Sanitation Approach, Child to Child Approach (CtC), and Social marketing of hygienic behavior and sanitation products will be done in response to the community demands. This approach focuses on the following strategies: health education for community sensitization and mobilization; active participation and ownership of the project; and re-activation of appropriate gender sensitive, community structures for households. Kilambo Primary School is located at Tagamenda Ward in the Iringa rural district. It's about 27 km from the town of Iringa. The school has 730 students ( 374 girls, 356 boys) from preschool to standard seven and 14 staff members. There are currently 8 latrines for the students and 2 for the teachers. 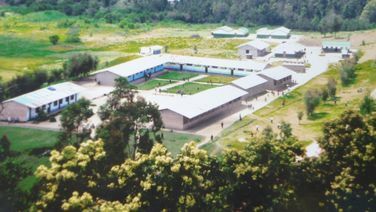 Madege Secondary School, founded in 2006, is located approximately 80 kilometers from Iringa, Tanzania in a village called Idete. The school has a total population of 521 students (271 girls, 250 boys).